The World Powerlifting Organization (WPO) in Orlando, FL will hold its first international event since 2007 next Sunday, November 11 and Fargo’s Marshall Johnson will be there to compete for best-in-the-world honors. This will be the sixth or seventh international competition for Johnson who began powerlifting in 2008 at the age of 25. At that time, he was competing as a bodybuilder and mentioned to a friend who was a powerlifter that he’d like to bulk up. His friend invited him to the gym and Johnson liked the change of pace from strict dieting and training that came with bodybuilding to the less strict diet and heavy weights of powerlifting. After a summer’s worth of training, Johnson was hooked and never looked back. Squats are just what they sound like, the competitor puts the bar across his or her shoulders and attempts to squat so the hips are parallel with the knees and then stand back upright. Johnson’s best squat in competition is 1,102 pounds – a feat he says is his greatest accomplishment on the platform. To put it in perspective, that is about the maximum weight of a pregnant polar bear. This lift is available to watch on the elitefts YouTube channel. Johnson says he believes the best squat in his weight class is in the neighborhood of 1,240 pounds. He would like to work his way to 1,200 eventually. Next comes the bench-press, which doesn’t take much explanation. Johnson’s best is 750, but he has his eyes on 800. The final event at powerlifting competitions is the deadlift. This is the lift in which the competitor starts with the bar on the floor, and then lifts it to a full standing position. Johnson’s current deadlift best is 849. He says he feels he can deadlift 900 pounds before his days of powerlifting are over. Powerlifting competitions like the one Johnson will compete in next Sunday consist of three different events – Squats, bench-press, and deadlift. They are done in a multi-ply suit, which is equipment used to support the body during lifting. Squats and deadlifts are done in suits, wrist wraps, and knee wraps. The bench-press is done in a support shirt. The purpose of the suit is to support the competitor’s body and does allow for heavier lifting, but Johnson stresses the fact that just because a suit is used does not mean the lifter automatically has an easier lift. He says there is still a learning curve. The suit adds restrictions to the body and can make it difficult to lift if the lifter has issues adjusting. Added all together, Johnson’s best lifts total an incredible 2,701, although that is not from any single competition. The total pounds lifted are what the WPO looks at when considering who to invite to the world competition in Orlando. For Johnson’s weight class, which is heavyweight for the WPO event – 242 pounds and up – the minimum weight lifted must meet or exceed 2,350 total pounds. However, WPO owner Wayne Pullum says that everyone who was invited exceeded those totals. Pullum says this invitation-only event will bring multi-ply powerlifters from the United States and Europe who will compete in what was considered by many to be the world series of its class before going on an 11-year hiatus. WPO is once again setting itself up to be the pinnacle of multi-ply powerlifting. The event comes the day after the World Powerlifting Congress (WPC) holds its World Championships from November 5-10. WPO falls under the WPC umbrella. Pullum says the WPO event is the elite level of WPC. “We’re pulling in lifters from different countries, different organizations to go head-to-head to see who’s the best,” Pullum says. Finding the best is why he opened it up to all the different federations. “[Powerlifting] is in my blood,” Johnson says when asked what drives him. It has been the one thing that has been a constant in his life since he started powerlifting about 10 years ago. No matter what is happening in his life, or how busy things get, Johnson will go to the gym. “It’s just one of those things I’ve always done…no matter how inconvenient it is,” he says. Johnson’s wife is a competitive powerlifter as well, which makes it easier on Johnson’s family life since he can see her at the gym. While Johnson has the power to squat a polar bear or deadlift a motorcycle, he has the look of someone just as tough. He weighs a rock-solid 305 lbs, with tattoos covering both arms, plugs in both ears, a thick horseshoe-shaped septum ring, a big beard, and a mohawk that comes in different sizes and colors. Based on appearance alone, he looks like the last person someone would want to run into in a dark alley, but don’t be fooled by his appearance; Johnson has a heart bigger than himself. Like many who are gifted with tremendous talents, Johnson uses his to help others. Every year, he heads to Burnsville, MN in the Twin Cities and competes in a fundraising event called Relentless. 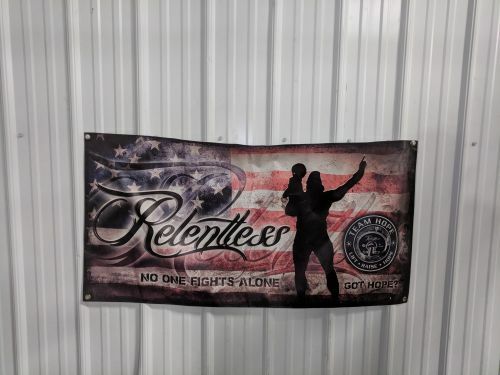 Relentless began seven years ago when a friend of Johnson’s wanted to raise money for another friend battling cancer. They got a powerlifting competition put together with rules, judges, records, etc. and raised money for their friend. By the end of the competition they had raised $20,000 and just like Johnson’s powerlifting career, they never looked back. The very next year, they connected with an organization called Hope Kids, a nonprofit in the Twin Cities. Hope Kids gives hope to families with children who have been stricken with life-changing illness or disease. They are not necessarily terminal, but some may be. Johnson says a lot of the kids are suffering from such illnesses and diseases as cancer, muscular dystrophy, behavioral problems, and other neuromuscular problems. Hope Kids is able, through fundraising such as Relentless, to give families hope by sponsoring events for the kids to participate in. It is something they can put on their calendars other than the negative things they look at every day, such as blood-draws, chemotherapy, or physical therapy. 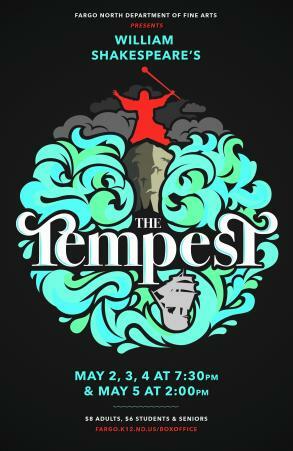 These events are something the whole family can see on the calendar and look forward to. Johnson says this may be something as small as a pizza party, or as big as tickets to a Minnesota Wild game. The Relentless event itself is a chance for the kids and their families to get out and cheer on all the powerlifters at the event. 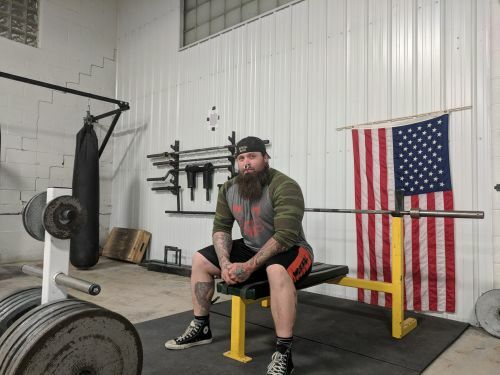 As a part of Relentless, Johnson says powerlifters have the option to become a part of Team Hope – a chance for them to form a relationship with the kids and their families. 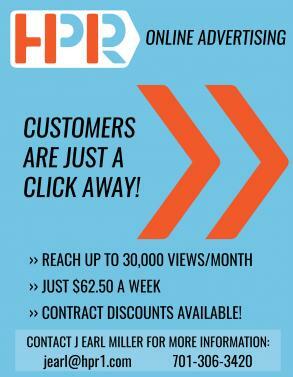 This may be as simple as sending emails and making phone calls or, for some, it has turned into a very close relationship that has led to the powerlifters going on vacations or spending holidays with the kids and their families. It was through Team Hope that he met Carter, a boy who had just recently had a brain tumor removed and was receiving chemotherapy at the time. That was the first year Relentless teamed with Hope Kids. At that event, right before Johnson performed a deadlift, a photographer captured a picture of Carter sitting on the bar. Since their first meeting, Johnson and Carter just seemed to click and grew very close to one another. About five years after that picture of Carter sitting on the bar was taken, Johnson and Carter recreated that picture - same poses, etc. - to celebrate. Carter had beaten the disease and today he is cancer-free. 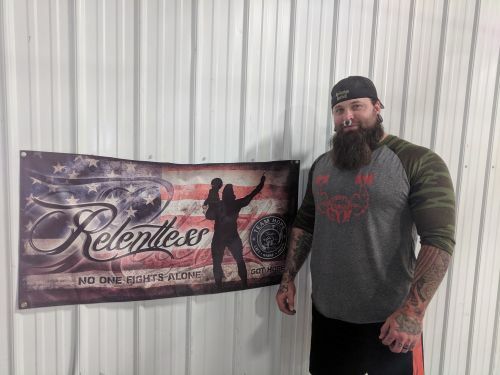 Johnson considers Relentless to be his greatest powerlifting accomplishment off the platform. He says every year, for three months, powerlifters each raise a minimum of $500 for the event. Last year they raised over $200,000 and over the span of the partnership, Relentless has raised over one million dollars for Hope Kids – enough to allow them to expand from Minnesota into four other states. Johnson started training for the event in Orlando six months ago and has enlisted the help of a coach – something he has never done before. This has made for some changes in how he trains. Before, he would just do his own thing. His training consisted of three really hard days, and two easier days. His diet was whatever he felt like eating. Since he has started with his coach, he trains six days a week and is now eating a rigid diet Sunday through Friday. Two days a week, Johnson lifts for maximum strength in all three phases of the event he will compete in. Two days he will lift for maximum speed in those events. The other two days are what he calls active recovery days. As for diet, he says he eats seven times a day. A lot of those calories come from eggs, chicken, and beef. He tries to eat cleaner than he has in the past. He says he has noticed this new diet has helped with inflammation in his joints. Johnson just recently began working out full-time at Metroflex Gym on Main Avenue in Fargo. 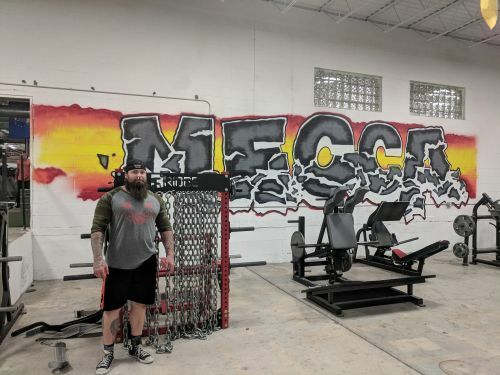 He says the nice thing about Metroflex is it caters to a wide variety of fitness and physical activity that is sometimes considered “underground,” and is adding new powerlifting equipment all the time. There are coaches for many different activities including MMA, in fact, former UFC and current Bellator fighter Timothy Johnson trains there. Metroflex is also a sponsor for Johnson, which he says really helps in terms of being able to continue to do what he does. He says the owners have been very supportive of him on his journey. Other sponsors include H&I Nutrition and Brotank, an apparel company in Fargo. Johnson and several his friends and supporters will head for Orlando next Friday. He says that even after a decade of competing, he does still get anxious the mornings of competitions. He loves to train, but the competitions are a sticking point for him. He credits his wife as the person who helps him power through his anxiety and get that first lift in. Once he actually lifts, he says the anxiousness goes away. Johnsons says he has a wonderful support team that includes his wife, the owners of Metroflex Gym, friends, and the powerlifting community. He says it is a wonderful sport because even though everyone might be in competition with one another, they all support one another and do what they can to encourage each other to reach their goals.